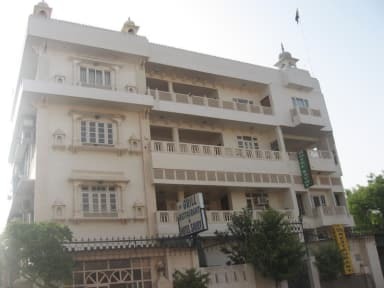 Savoy Hotel i Jaipur, Indien: Reservér nu! amount equivalent to 1st night in case of cancellation 48 hrs prior to arrival. the age group of 0-12 and 12-18 years must be accompanied by guardians. Our tariffs are very economical and suit tourists and business travellers alike. 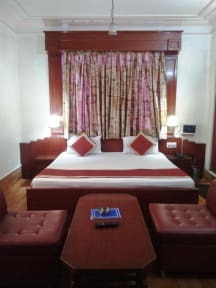 The hotel has 32 rooms in total and all come with bathrooms attached, proper ventilation and all modern facilities such as colour satellite TV, telephone and more. We also have a restaurant, The Grill Restaurant serving traditional Indian food at reasonable prices.